I visited Townsend, the home of the Baldwins, Spauldings, Emerys and Gassets for the first time last week. 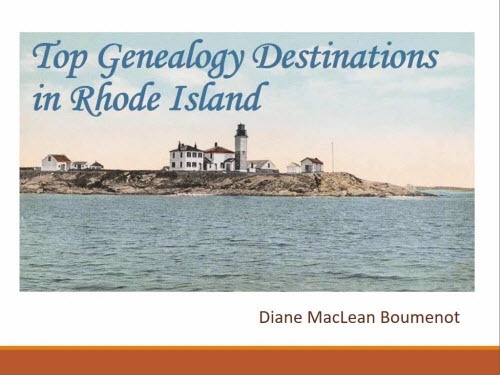 Since most of my mother’s ancestors lived within about 50 miles of Rhode Island, I will have an opportunity to visit each place they lived in many times. 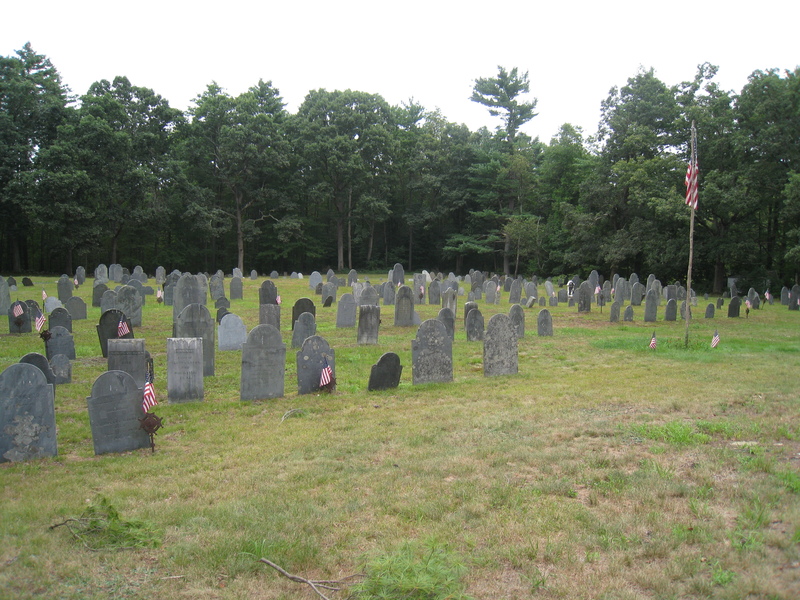 This visit was just to familiarize myself with the town and visit the historical society and cemeteries. My first stop was a roadside antiques consignment shop on the way into town. There I met a woman who was related to Richard N. Smith (said she was his cousin, but as genealogists know, that could mean anything), the author of the 1978 history of Townsend called “Divinity and Dust – A History of Townsend, Massachusetts.” I told her if she got a chance to let him know how much I enjoyed the book. While driving around, I had the wonderful experience of spotting streets named for many of my ancestors: Spaulding Street, Emery Road, Jefts Street, Blood Road. 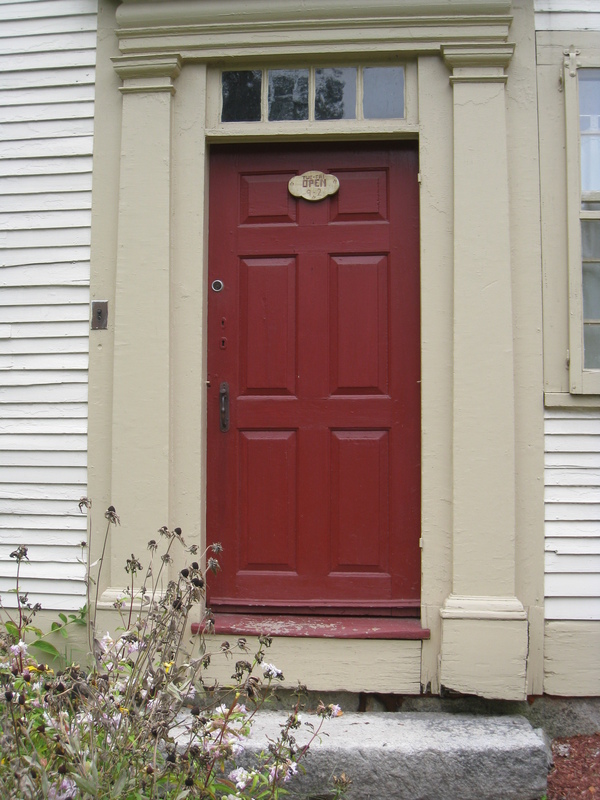 Townsend Historical Society located on Main Street in the Townsend Harbor section. 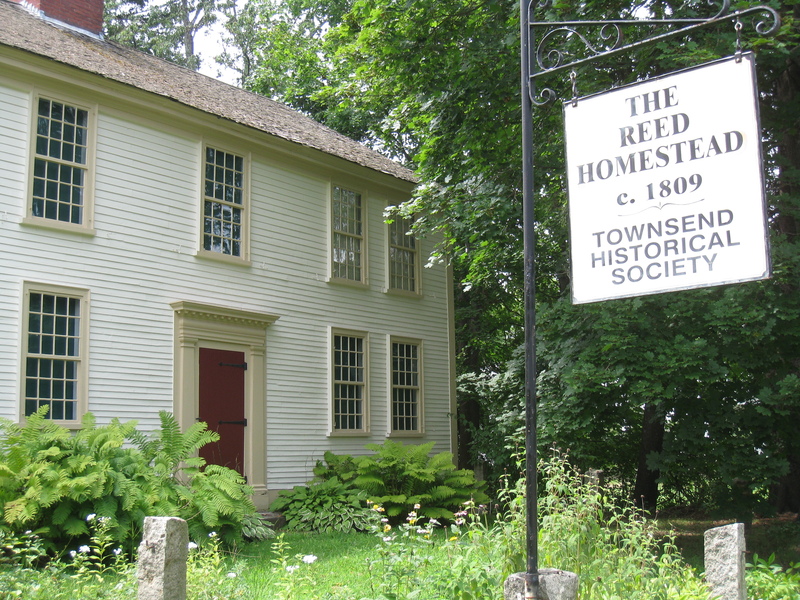 I next approached the Townsend Historical Society. I didn’t have an appointment but was greeted cheerfully and shown into an office where I discussed what I was researching. I was able to photograph some membership roles of the Congregational Church from 1847 and 1851. 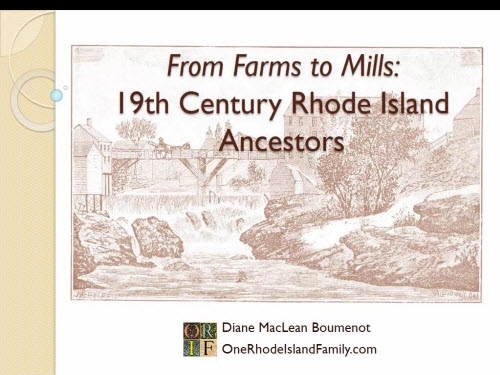 My direct ancestors were out of Townsend by that time, but some aunts, uncles and cousins remained. I recognized many of them in the lists. I was asked not to reproduce those photographs here. The Historical Society had some files, ephemera and other records but nothing that seemed to fit well with the family names and times I mentioned. But I was able to inquire about old Townsend newspapers and the nearest city newspapers. I purchased a few small items which complete my set of written works on Townsend history (see bibliography below.) I purchased a black and white reproduction of this 1856 Townsend map. I was invited to send in any queries that I might have in the future, and perhaps I will, since I have only just started with this group. 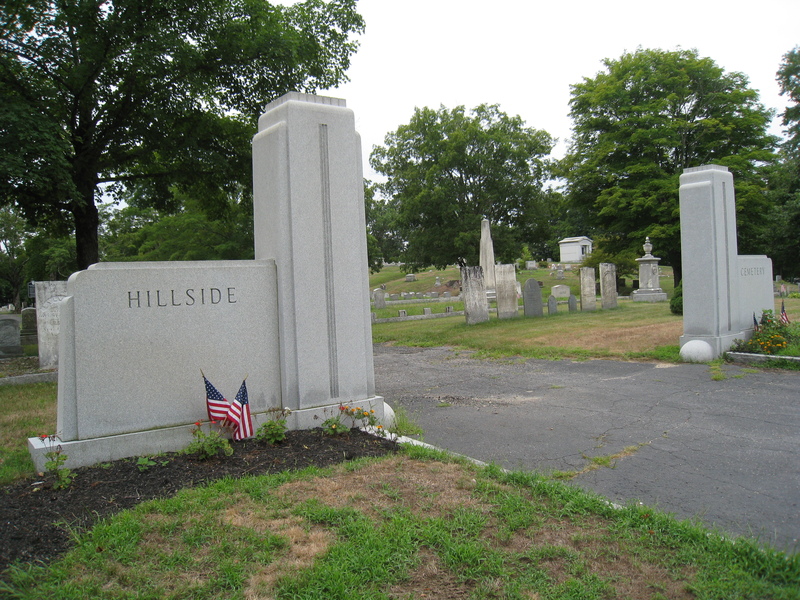 Next I visited Hillside Cemetery. This cemetery is very big but for some reason I drove right up to the memorial I was looking for. 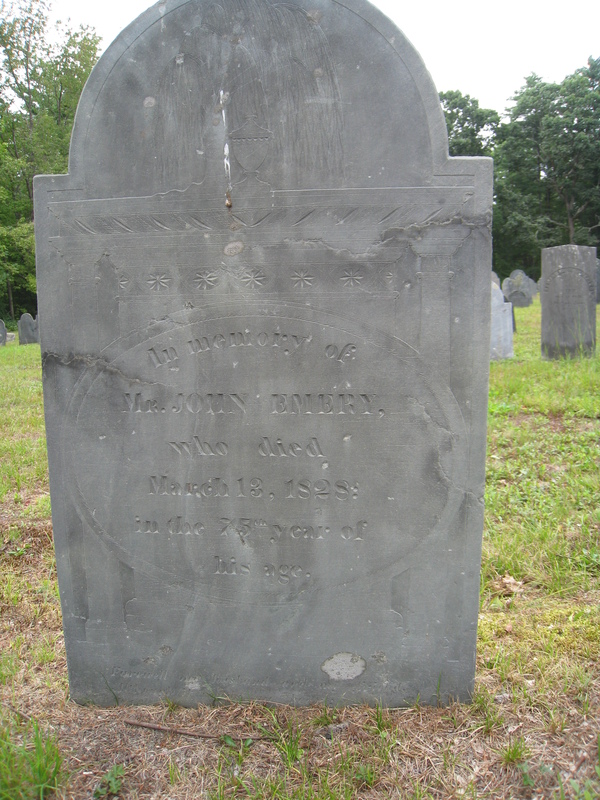 It carries the names of many of the siblings of my ggg-grandmother, Polly (Spaulding) Baldwin, 1806-1839. 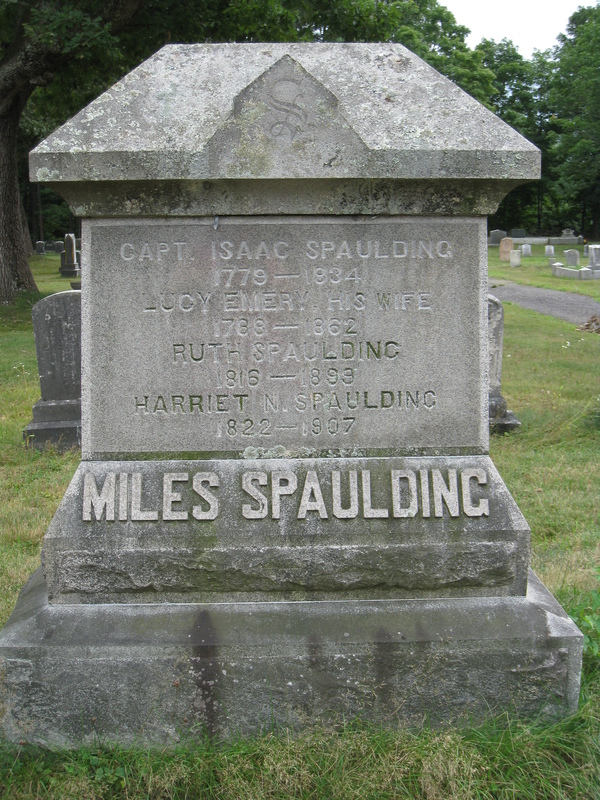 It is a memorial to Miles Spaulding (1819-1896), who was a physician in nearby Groton, and is buried in Groton. It was placed by his widow; they had no children. I wonder if this turn of the century marker replaced some older ones? The earliest death on this memorial is 1834. I never found the graves of my grandfather’s great grandparents, Eli and Polly (Spaulding) Baldwin. 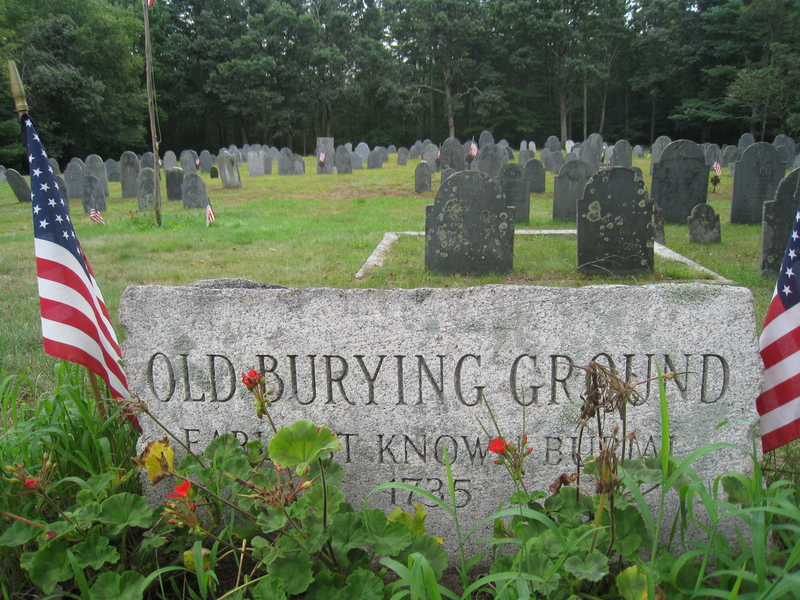 But I knew the cemetery was recorded, section by section, in the Vital Records of Townsend Massachusetts book which I had on order, so I knew I could return with that another time and find everything. My grandfather’s grandfather, Edward Baldwin, and his sister Catherine were left orphans when Eli and Polly died. Polly’s siblings, particularly those mentioned on the marker above, did a lot for Catherine and Edward. So I was touched to see that Catherine (Baldwin) Hunt (1834-1904) was buried in the same plot. She and her husband, William Hunt, did not have any children. I suspect Edward Baldwin died alone, and is not buried here. But there is a lot still to learn about him. My last stop was the Old Burying Ground on Highland Street. A more manageable size than Hillside, I examined every marker, and also referred to a list I had brought. Even with that, I will need to refer to the Vital Records list and make a trip back. Meanwhile, here is what I found. 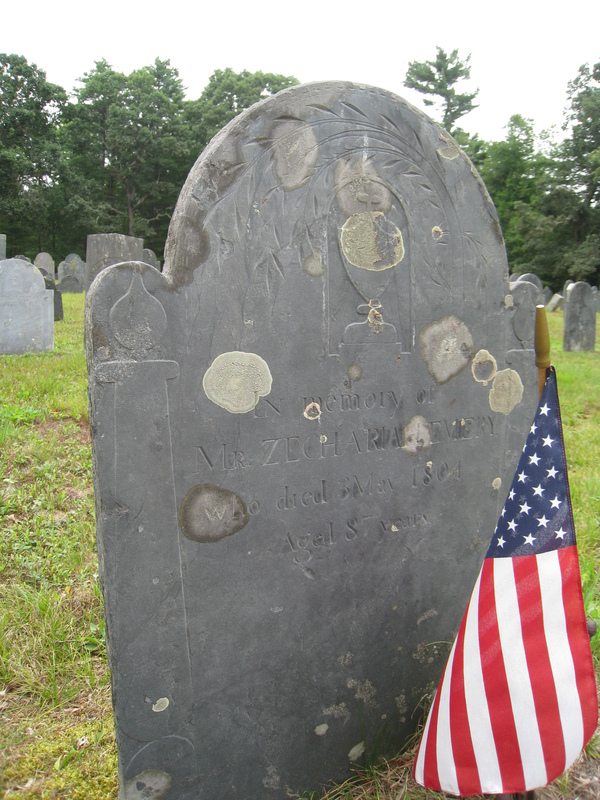 In memory of Mr. Zachariah Emery who died 3 May 1804 aged 87 years. In memory of Mrs. Sarah Spaulding widow of Dea. 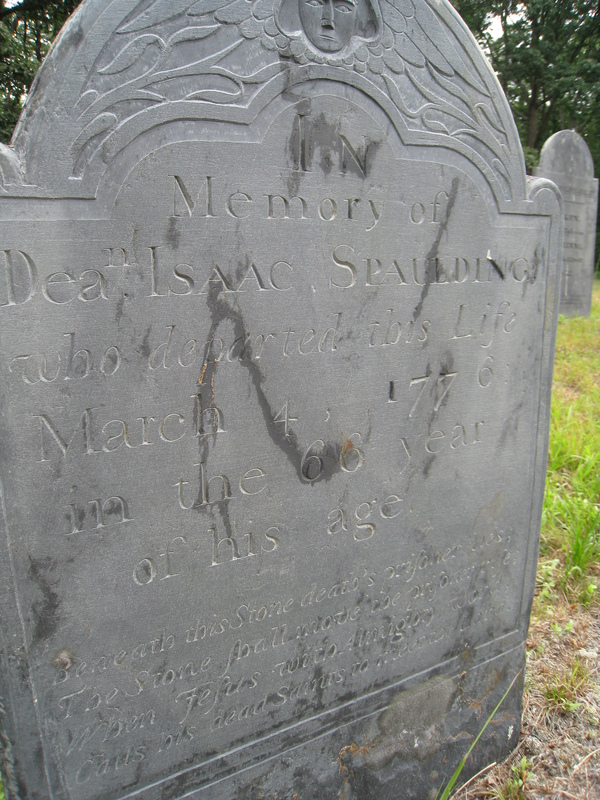 Isaac Spaulding who died 11 Feb 1806. In the 92 year of her age. In memory of Lieut. 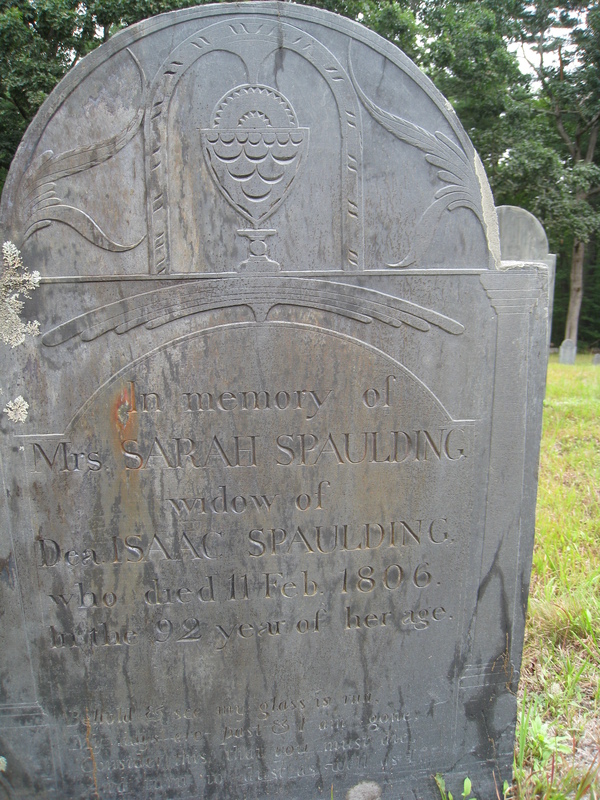 Benjamin Spaulding who died May 27, 1832. Aged 89. Hallowell, Henry C., (“transcribed and edited by”). Vital Records of Townsend, Massachusetts, Town Records to 1850 with Marriage Intentions to 1873 and Cemetery Inscriptions. Boston: New England Historic Genealogical Society, 1992. Sawtelle, Ithamar B. History of the Town of Townsend, Middlesex County, Massachusetts, from the Grant of Hathorn’s Farm, 1676-1878. Fitchburg, Mass. : Published by the Author, Press of Blanchard & Brown, 1878. Smith, Richard N. Divinity and Dust, A History of Townsend, Massachusetts. Lancaster, Mass: Richard N. Smith and the Townsend Historical Society, Printed at the College Press, 1978. 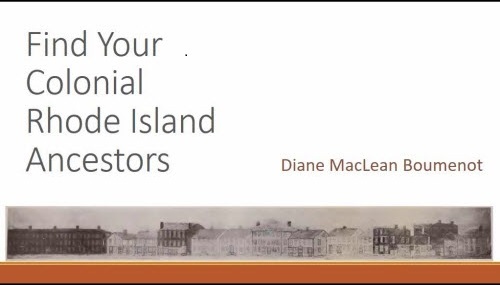 Diane, I enjoyed your post, and all the more since I’ve been to Townsend many times, although I don’t have ancestors there. I also enjoyed the comments. Oh and let me know when you come to Chelmsford, it’s only a mile away! Good post, diane. I captured the 1856 map, but couldn’t find my Zachariah Hildreth on it. Several Seaver families are on it, as are several Hildreth families. I need to look more carefully. 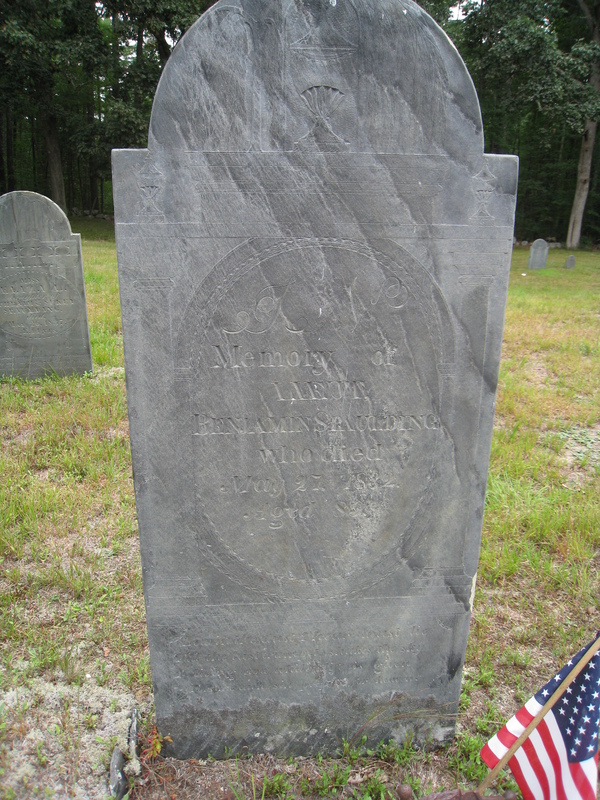 Funny – I have three Zachariah Hildreths in a row in Townsend, buried in both cemeteries. Exciting and wonderful stuff Diane! May you have many additional trips filled with awe and connectivity. A wonderful trip! I had ancestors there at the same time, and they lived in the part of town known as “the Harbor” (which makes me laugh because it is at least 50 miles inland). The Old Burial Ground is terrific. I’m glad you had a fruitful trip, and let me know when you are going next time. I pass through Townsend every time I go visit my Mom. I have a line of three Zachariah Emerys in a row from Maine. Same family? wow, Heather, I have three Zachariah Emerys in a row too, from Kittery Maine -> Chelmsford -> Townsend. 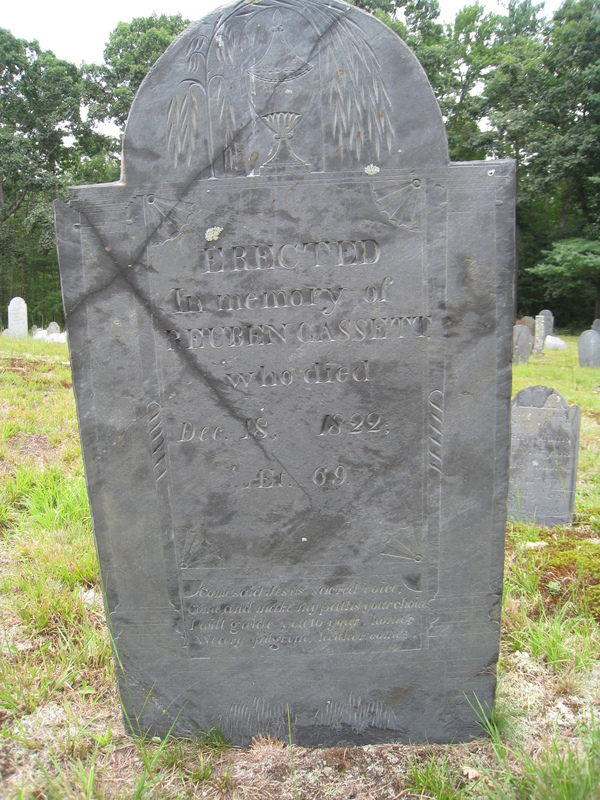 Then the next descendant is the John Emery(1754-1828) I wrote about recently with the Rev. War widow’s pension. Wow, looks like we’re seventh cousins maybe?? And yes, Heather, my folks are from “The Harbor” as well. I would love it if you’ve discovered any actual house locations.